In the past 2018, many YouTubers earned extra income through YouTube, and some YouTubers also realised financial freedom. In 2019, how can you make money on YouTube, and how do you find these money-making opportunities? If you want to know, please continue reading this article. On YouTube, you can make money based on views. On average, YouTube channels earn $0.5-2 per 1000 views. Therefore, to increase revenue, you need continually uploading videos to attract sub traffic. First of all, you need to build your talent to the brand and promote it to attract more fans and subscribers. For example, if you dance, then your channel can always recommend different kinds of dance videos, or you can arrange your dance videos. If you already have a certain number of subscribers on YouTube, then you can seek relevant media coverage and expand your influence. Besides, you can share your valuable experience with fans on social media to get more subscribers. While having more subs, you also need to maintain a level of interaction with them. For example, you can create your fan base and regularly send out some benefits to your subs, such as small gifts, exclusive tidbits, etc. In short, let them feel that they are essential to you. On YouTube, more than 100 million hours of YouTube videos produced each year, and it’s not easy to stand out from these videos. Content creation is an important magic weapon to attract subscribers and brand cooperation. By combining ideas with a brand, try to create content that YouTube users are more interested in and more communicative. Basically, how much you make on YouTube depends on your channel itself and how much time you will invest. But the most important thing is being consistent, you need deciding how often you’re going to upload your videos. Upload several times a day? Do it just once a month? You have to decide what your schedule can be, and please be realistic about it. If you can only put out a good quality video once a week, then do it once a week. But once you have that schedule, be sure to follow your schedule, because your subscribers and viewers are going to be expecting that and you need to meet that expectation. A HASHOFF State of the Union Report – “2017 influencer marketing” reported that only 14% of influencers have worked with more than two brands. For most influencers, working with brands is still a relatively new experience. After 2018 development, more brands will increase their YouTube influencer marketing investment in 2019, so this is a profitable opportunity for YouTubers. Perhaps this is also a challenge. In the past, YouTubers made money through brand advertising, video clicks, etc. Now, we want to share with you a new advertising method for YouTuber – CPI (click per install). More specific, you and a brand sign a cooperation framework, then getting your referral link. So, if a viewer clicks on your promotion link, download and install, then you can get a commission. This method is quick to settle and can cooperate for a long time. If the effect is not good, it doesn’t matter, and you can change the brand to a better one. It is an excellent opportunity to make money for creators who have just entered YouTube. How do you find these money-making opportunities? Search for relevant keywords in Google Chrome, such as “How to make money with YouTube”, “Source of YouTube to make money” and so on. Get the latest ways to make money and work through the YouTuber groups like on Facebook and Quora, or add some organisers to create the most recent financial information. 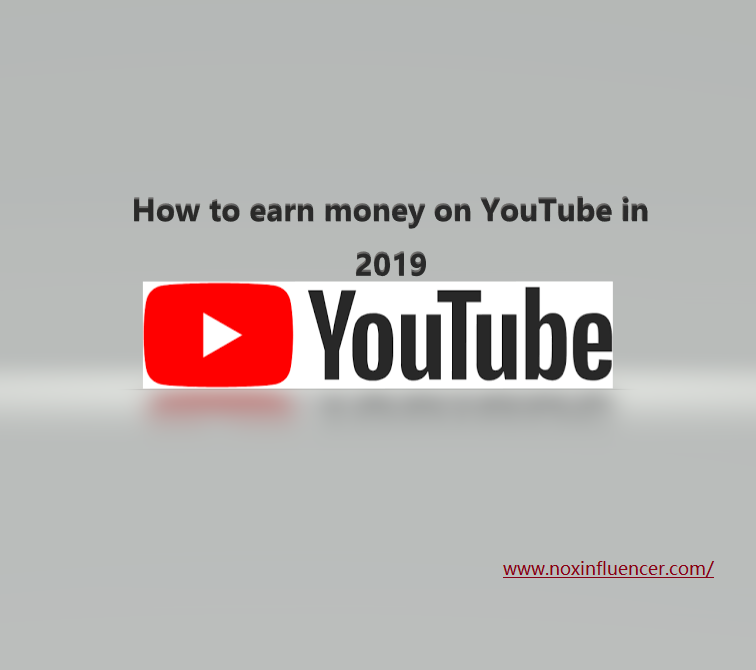 NoxInflencer, a professional YouTube marketing platform, is also the favourite web analysis tool for YouTube channels. In addition to helping YouTubers analyse their channels, this platform also has access to a lot of YouTube-related work and tasks. These YouTube quests range in price from tens of dollars to tens of thousands of dollars and can be selected and built according to your needs. Also, this platform takes security very seriously, the settlement is fast and secure, and interested YouTubers can try it. We hope this article helped you, and thank you for reading. Prev How to Optimize YouTube Channel with the Help of Specific Data?